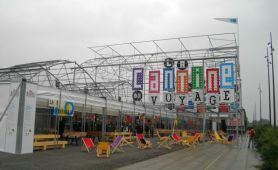 Manufacturer and constructor since 1962, CMF, with its proven strong experience, is now a key player in the design and implementation of plant production greenhouses, commercial buildings, buildings open to the public, industrial buildings, housing…with a constant concern for climate control. joined the CMF groupe in 1997.
joined the CMF groupe in 1998. 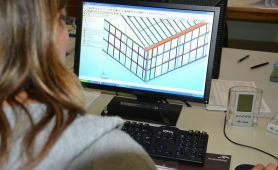 Manufacturer of plastic greenhouses structural components, BN Serres has an internal engineering department with computer systems allowing structures resistance simulations. The manufacture made from galvanized sheeting, with an extrusion unit on spot for the whole steel profiles range uses almost all structure components and is carried out in Monteux (84) : a 3000 m² covered production site on a 1,5 ha storage park. 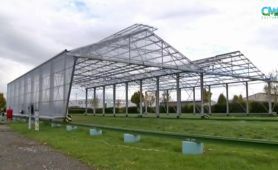 Integrated Company, CMF relies upon its engineering department for the structural calculations, design and development of comprehensive solutions in the field of greenhouses, garden centres and glazed buildings. 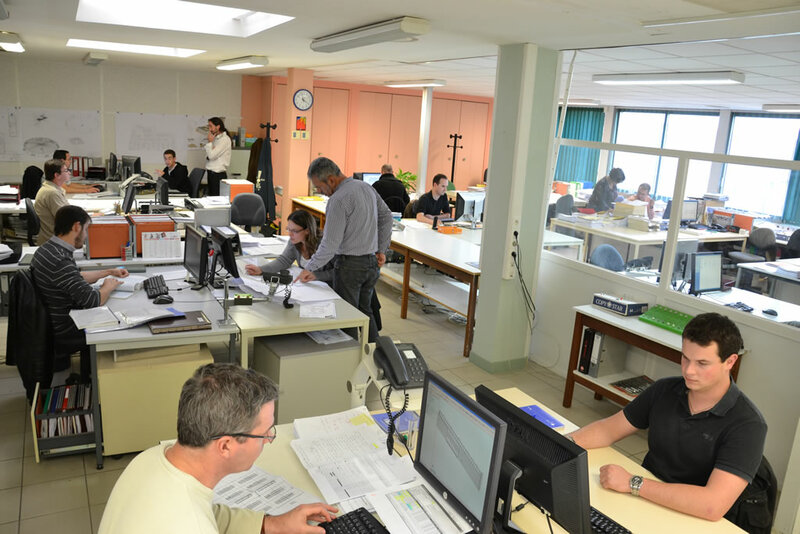 Designer, manufacturer and installer, CMF carries out its whole manufacturing on a +/- 25 000 m² production site in Varades (44) and sells directly to final users or to constructors. An administrative department at your service. 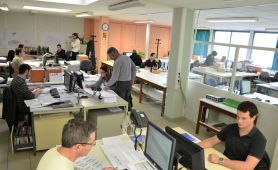 From the outset, all production units are present on the French territory and rely on a « Made in France » production. The CMF groupe integrates upstream all the components of your project for a flawless execution, up to your ambitions in climate control. 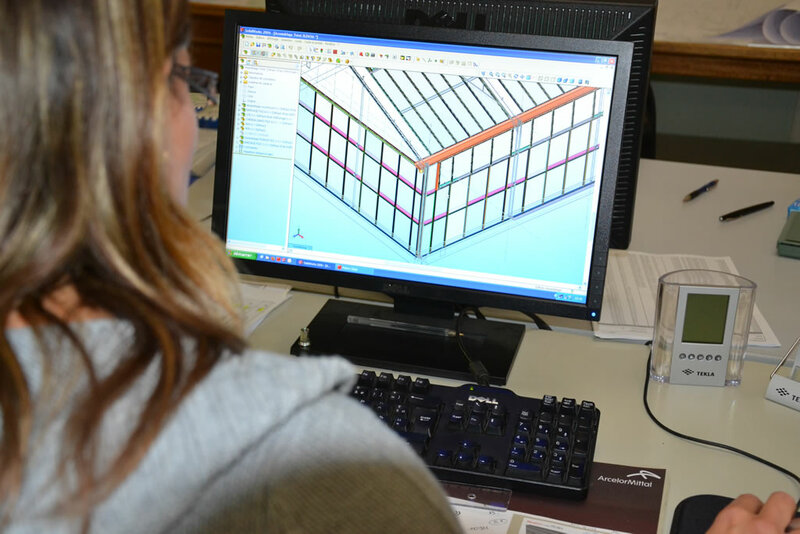 Each project is carried out with a unique contact person, which guarantees you a careful monitoring and a « turnkey » delivery. Beyond the reliability of its achievements, CMF is strongly backed up by some specialized teams, so as to propose maintenance and monitoring of the structures and equipment, through some maintenance contracts. 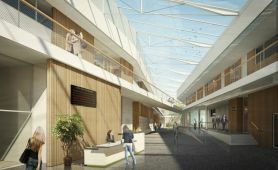 CMF has a clear leitmotiv : propose the most appropriate climate, taking into consideration the building purpose. So as to achieve that, we have first of all developped a sense of listening to your expectations. 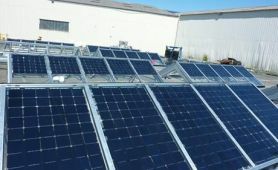 Throughout the elaboration of your project, (definition of your project preliminary draft, research / conception / plans drawing, exécution de plans, companies consultation, implementation and supervision of building site and equipment, works acceptance, after sales service / maintenance), CMF guarantees you building solutions, combining technicity, durability, innovation. 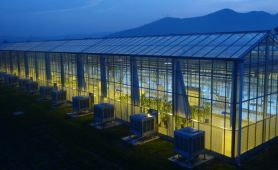 Whether horticultural or market gardening greenhouses (glass or plastic), research greenhouses or specific greenhouses (sun-drying, sludge drying, spirulina, composting, fish farming, photovoltaics, « Eco Abri » storage shelters, shade structures…), CMF Cultivations’ aim remains climate control, from design to equipment. Whether exceptionnal or not, the projects carried out by CMF Building, all bear the stamp of highest requirements and focus here again on climate control. Leisure facilities, commercial buildings, prestige glazed buildings, garden centres, housing, industrial buildings, large glassroofs, botanical gardens, patios, zoos, aquatic spaces, ornamental glaassroofs, style buildings, public administrative buildings, winter gardens, transparent glazed architecture, station concourses, large scale buildings, bioclimatic buildings, thermal shells… perfectly answer all the project managers’ requirements. 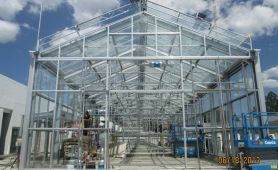 With hits proven international experience, CMF Export integrates all geographical and local climatic constraints to provide the same care through its teams, distributors and partners all over the world, the same concern for climate control to any glazed or plastic cultivation greenhouse or building project.